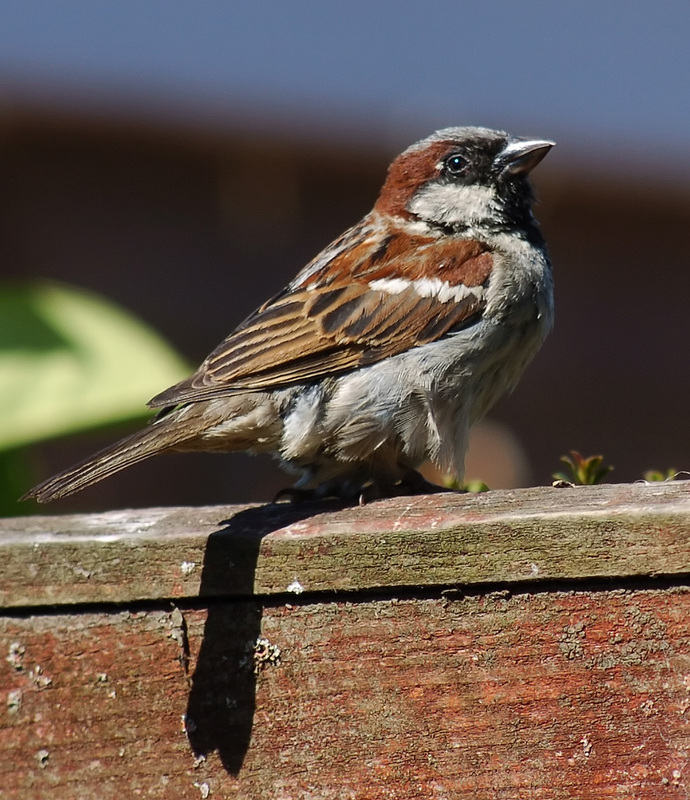 House sparrows (Passer domesticus) were introduced to New Zealand between 1866 and 1871, with the hope that they would help control crop-eating insects. Soon after their introduction, the population became so large that they soon became a pest. But they are still here today where they still delight us from time to time. A couple of days ago I noticed a little sparrow holding nesting material in his beak perching in my balcony rail. So I started watching him closely, because I was curious about where the sparrow was taking the nesting material. I soon found out that he had found his way into my clothes dryer exhaust. 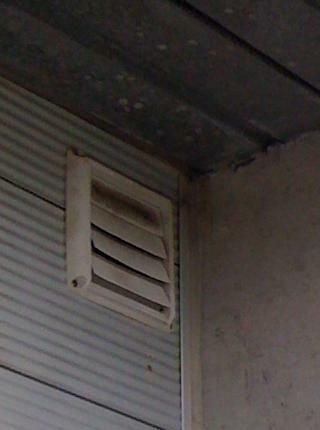 You can see that on my outside wall, the exhaust from my clothes dryer is covered with a small panel that has flaps to let the air out when the dryer is operating. The clever little bird had figured out that if it holds on to the edge of the panel, he can squeeze in between the flaps. When I am out of the balcony, he looks at me with suspicion, nesting material on beak, and flies away so as to not give away his nesting site (or so I think may be the reason). If I stay there long enough he gives up and flies into his “new nest” anyway. Today, I saw him bring a female with him. Please share other curious bird stories with us here. You can read more about introduced bird species and their impact on the New Zealand ecosystem at the Te Ara website where I got some of the information posted on this blog. « We now have a Facebook page!